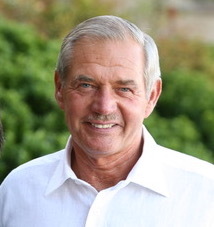 Age 73, passed away peacefully surrounded by his family and friends on February 7, 2019. Although Jack died February 7, he had slipped away bit by bit since his diagnosis of Frontotemporal Dementia six years ago. Safar was a native of Brookfield, Illinois and graduated from Riverside Brookfield High School. He attended the University of Hawaii, where he received his undergraduate degree in Marketing and Finance, and his Master of Business Administration (MBA). He received a second MBA from the University of Wisconsin Graduate School of Business, specializing in real estate appraisal and investment analysis. Jack started his real estate career at Arthur Rubloff and Company in Chicago. In 1972, he and David Brierton co-founded Dominium, now the second largest affordable housing development company in the country. Safar was committed to affordable housing and to-date the work he started at Dominium has helped more than 200,000 people in 22 states. Jack’s leadership and vision was instrumental at critical points that allowed for Dominium’s expansion. He helped build the industry locally and nationally, serving on many industry boards . He leaves behind a tremendous legacy of commitment to his work. There absolutely was another side of Jack. He was a multifaceted guy who got the most out of life. Jack was an adventurer. He traveled the world, collected art, played golf, loved sailing and fishing, cooking, great food and good wine (especially if it was a good buy). He taught Celestial Navigation and loved boating on Lake Minnetonka and sailing on the Great Lakes. Jack was a life long learner who knew a lot about many things and he was a great storyteller who loved people. Jack’s passion for living and excellent real estate instincts helped to create a wonderful life for himself and his family. He shared that life in many ways, especially through his commitment to philanthropy. Jack is survived by his wife, Pam; son, Jack (Will Bean); daughter, Katie (Dustin) Sugasa, and grandchildren, Murray and Warren. He is also survived by his past wife, Mary Safar, mother of their children. A special thanks to Adam Bright who loved Jack with all his heart and cared for him as no one else could have. Jack’s family is forever grateful to the Griffin family and to Jack’s caregivers for the love you gave to Jack. A gathering of Jack’s friends and family will take place on Monday February 18 from 4-8 pm at David Lee Funeral Home, 1220 East Wayzata Blvd in Wayzata. If desired, memorials can be made to the Dominium Foundation.